Basement Waterproofing CT, Concrete Foundation Crack Repair. A-1 Foundation Crack Repair is proud to be a member of the Connecticut business community. Since 1993 A-1 Foundation Crack repair has been proudly serving customers throughout the “Constitution State”. 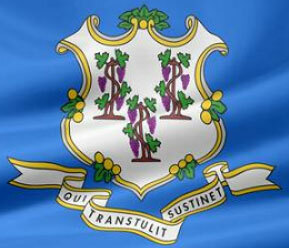 We thoroughly enjoy Connecticut, from attending concerts at the Xfinity Center in Hartford, cheering for UConn Huskies Basketball and Football teams, or grabbing a hotdog at the world famous Capital Lunch in New Britain, Ct.
Over the past 20 years A-1 Foundation Crack Repair has become one of Connecticut’s most respected foundation repair and basement waterproofing companies. We are fully insured, all of our technicians are fully trained and customer service is our top priority! We offer basement waterproofing and concrete repair services to concrete, stone, brick and block foundations. A-1 Foundation Crack Repair, Inc. is a fully registered home improvement contractor. Contact us today to talk to a knowledgeable, master waterproofing professional.